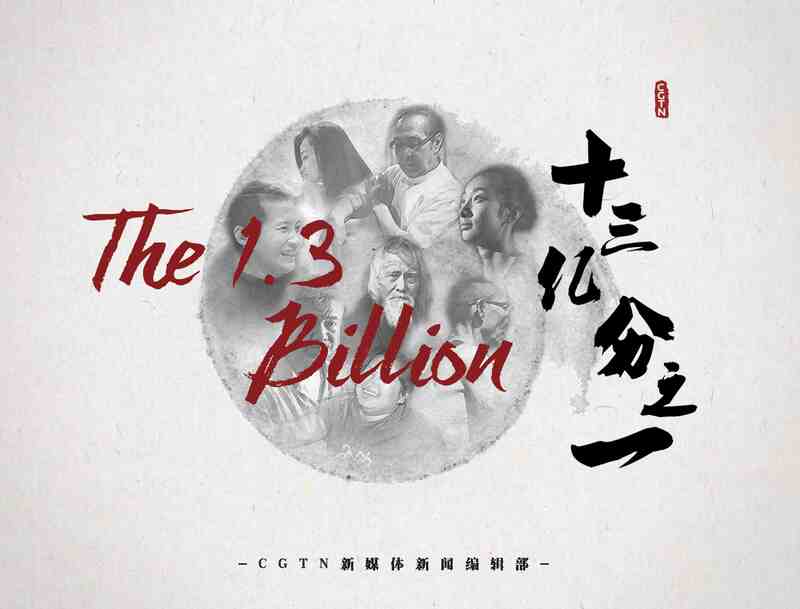 The call that would bring Chen Xingda nationwide fame came in on a Thursday morning, at 9:49 a.m. on January 29, 2015, specifically. He immediately realized that the situation was critical since the Beijing Special Firefighting and Rescue Detachment had made the call. 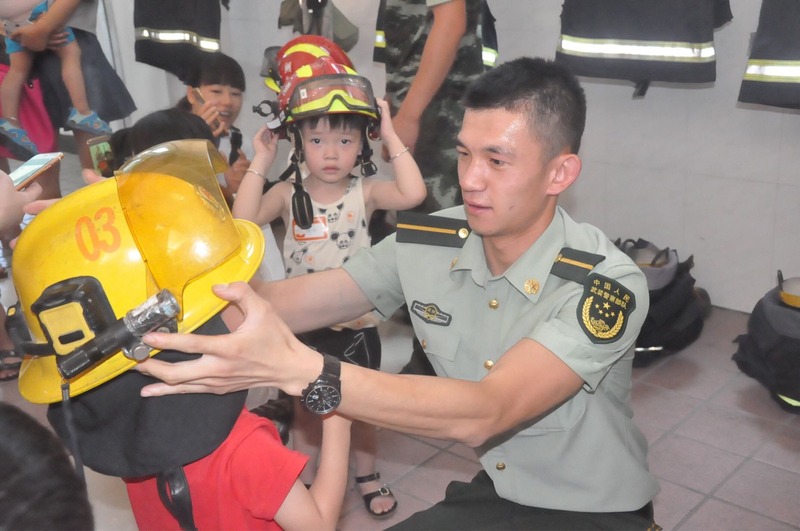 Even though the doctors had only just removed the stitches from his recent surgery, being a veteran fireman in his fifth year's service, Chen volunteered for the mission. 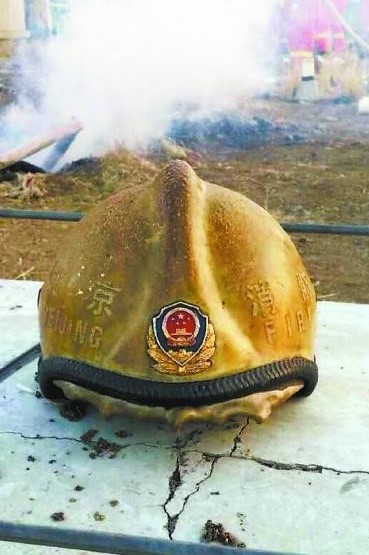 Little did he know that he would tackle the blaze that had hit the Bairong World Trade Center in Beijing for three days, in the course of which his iron helmet would start to melt at the front and later become a symbol for the heroism of the nation's firefighters. The fire erupted in a warehouse that extended over an area of 2,000 square meters. The storage hall was divided into countless small rooms where inflammable clothes and shoes were piled up on top of each other. 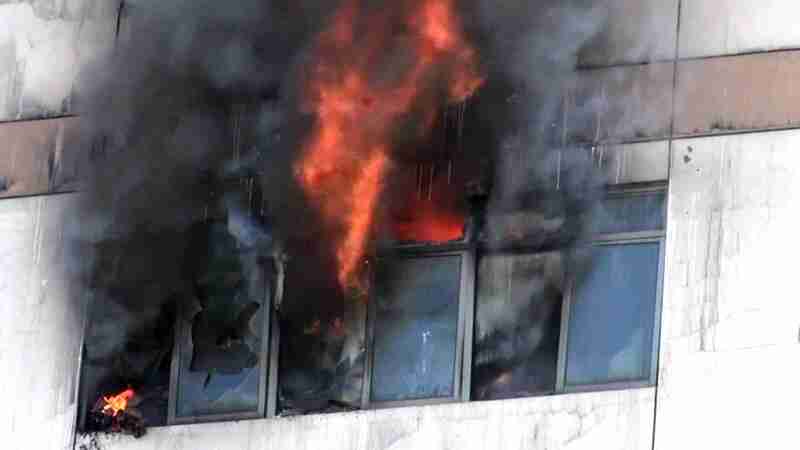 The fire doors kept the flames inside but also turned the place into an extremely hot and highly dangerous firebox. "There were several challenges. First, we couldn't get inside, as it was filled with smoke and the temperatures were extremely high. Second, the goods were scattered everywhere. Some boxes had fallen down and blocked the way, making the floor plan of no use. 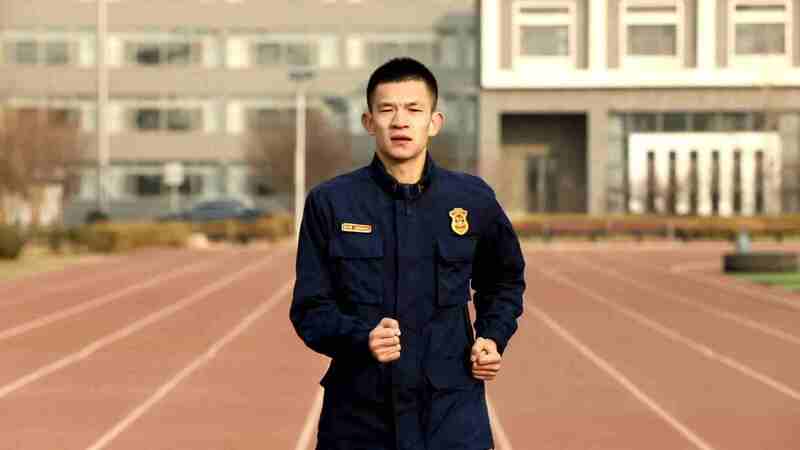 Plus, we had to break through the fireproof doors and all kinds of shelves and wire fences," said Chen. Carrying oxygen cylinders and other gear weighing 40 kilograms, Chen and his comrades-in-arms looked for the automatic sprinklers in total darkness. Chen's job was to spray water onto the other two companions to prevent burns. With no one to cool him down, he had to lie on his stomach as he was using the fire hose nozzle. Even so, the heat was intolerable. "I was burnt by boiling water before. Yet the water that seeped in my uniform was much hotter than that." Their oxygen masks began to show warning signs after only 20 minutes. "Normally the oxygen could last for up to 40 minutes. The heavy smoke, the smoldering heat and the demolishing work were very energy-consuming, which accelerated our breathing." The three quickly retreated to change the cylinders, while another team went in to take over. Chen's incision from recent surgery cracked open again after he had broken into the burning building for the seventh time, but due to the excruciating heat, he didn't feel any pain. Being skinnier than others, he managed to crawl through all kinds of narrow spaces and eventually found the switch to turn on the sprinklers. "We turned on the system. The functional sprinklers helped reduce the heat and stop the fire from spreading to other areas." It took them 71 hours to extinguish the fire, making it the longest firefighting operation in Beijing. The main shopping mall next to the warehouse was untouched with no casualties. Chen never even realized that his helmet, which was designed to withstand the heat of 260 degrees Celsius, had melted. 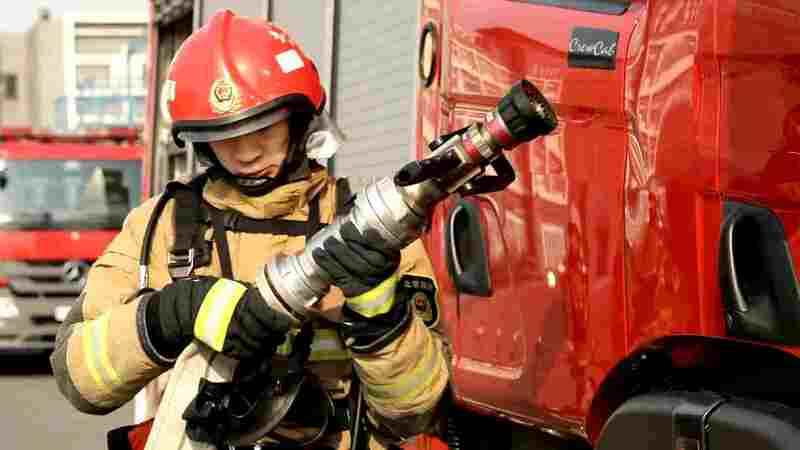 The first time that Chen became aware of firefighters was during the Wenchuan earthquake in 2008. Seeing those olive and orange uniforms rescue victims from the debris, he could not help to admire them and want to become one of them. Chen was just a high school student in 2009, when a car shop opposite the school suddenly caught fire, taking the lives of the owner and her grandson. "The lady was about the same age as my grandmother. She was very nice and always inflated our bicycle tires for free. The accident had a deep impact on me and taught me that life is fragile." Chen told his parents that he was determined to become a firefighter, and got their full support. In 2010, his dream came true as he was recruited right after graduation. The rookie was 180 centimeters tall but weighed less than 60 kilograms. Lacking the strength to carry heavy gear, he found it hard to get through the training. "I was pretty stubborn. We were trained in the same way. As long as others could make it, so could I." Chen spent most of the time on the training field. "When others took a rest, I would go running and practice horizontal bar and parallel bars. I always go the extra mile. By the fourth year, I became one of the squadron's bests in professional skills and physical strength." 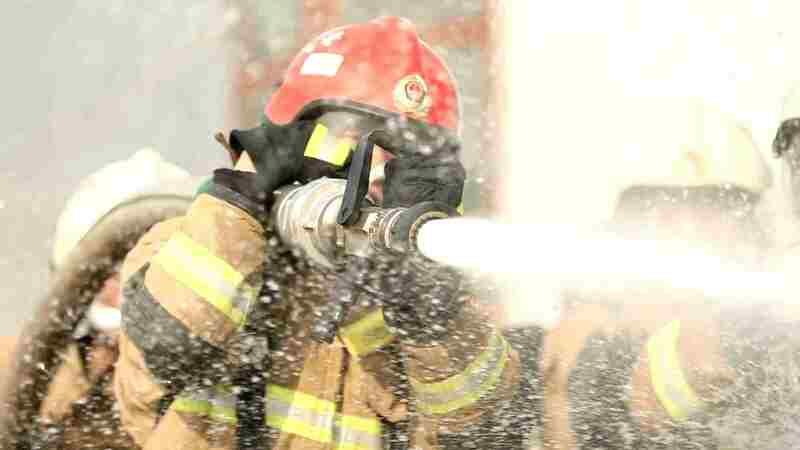 Firefighting requires more technical skills than holding the nozzle and laying the hose. 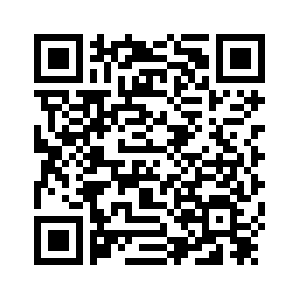 Theoretical knowledge and a cool head are vital to complete the mission. "I'm not afraid of fire. We must never be afraid in the face of an emergency. You just follow the safety rules, and everything will be alright," says Chen. "I'm the squad leader. When I bring in my brothers, I have to bring them out in one piece." 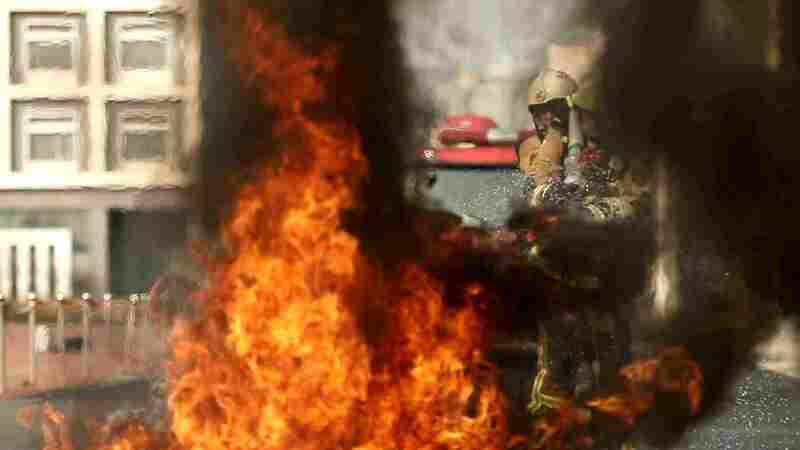 Chen's family doesn't know much about his job, only that he "puts out the fire," as he never talks about the dangers. "It's as simple as that. I've set my mind on this career and try my best to do it well." 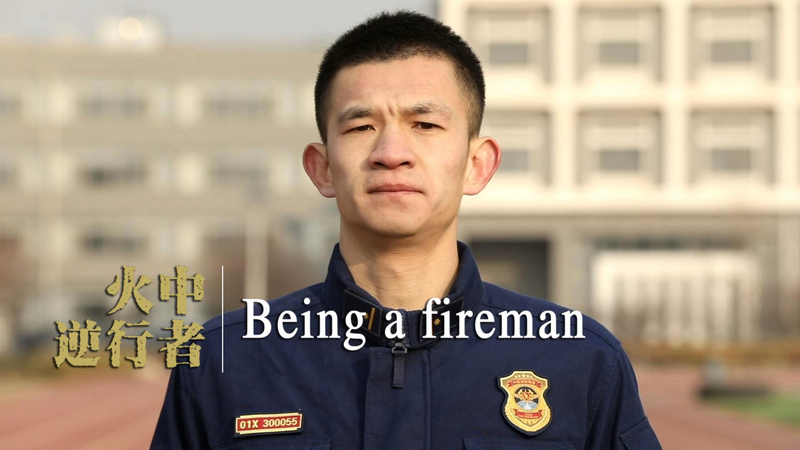 Nine years into his firefighting life, Chen is still one of the first to go to the rescue.